A. Monas, O. Shchyglo, D. Höche, M. Tegeler, I. Steinbach. Results of the large scale 3D simulation of nucleation and growth of primary α-phase (blue) followed by the nucleation and growth of secondary interdendritic eutectic β-phase (orange). 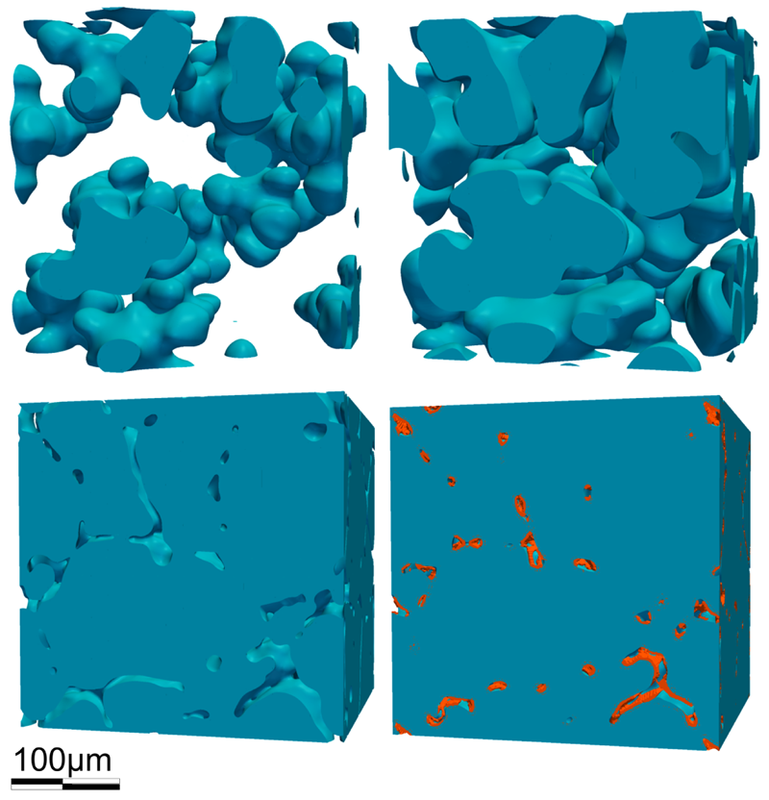 Phase-field simulations of the nucleation and growth of primary α-Mg phase as well as secondary, β-phase of a Mg-Al alloy are presented. The nucleation model for α- and β-Mg phases is based on the “free growth model” by Greer et al.. After the α-Mg phase solidification we study a divorced eutectic growth of α- and β-Mg phases in a zoomed in melt channel between α-phase dendrites. The simulated cooling curves and final microstructures of α-grains are compared with experiments. In order to further enhance the resolution of the interdendritic region a high-performance computing approach has been used allowing significant simulation speed gain when using supercomputing facilities.